Heavy duty capacitor start induction motor for better energy efficiency. 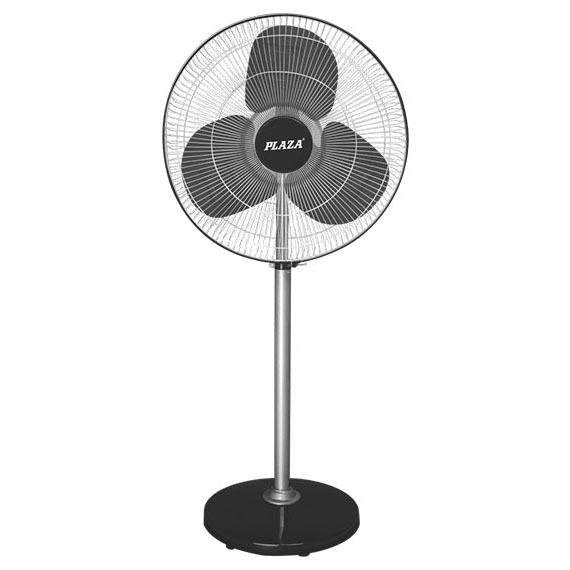 Aerodynamically designed and well balanced 3 leaf blades forbetter air thrust over large distance and silent consistent operation. Heavy and large bottom base enabling stability and vibration free operation. 3 speed rotary switch control. Powder coated, corrosion resistant finish, ensuring durability and long life. Finger proof guard ring ensuring safety, with matching ground ring for aesthetic looks.